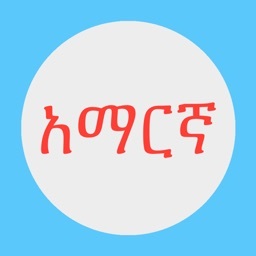 Abyssinica Amharic is an iOS system-wide Amharic keyboard which enables you to read and write Amharic in ANY app supporting custom keyboards. 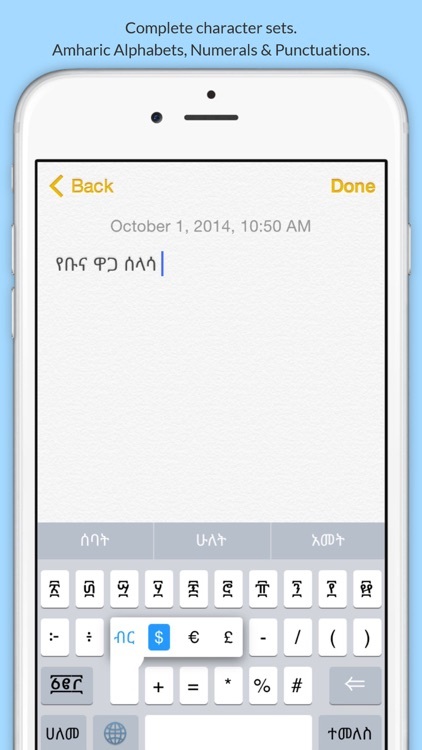 Type Amharic faster on your iPhone, iPad or iPod touch using the Abyssinica Amharic Keyboard. 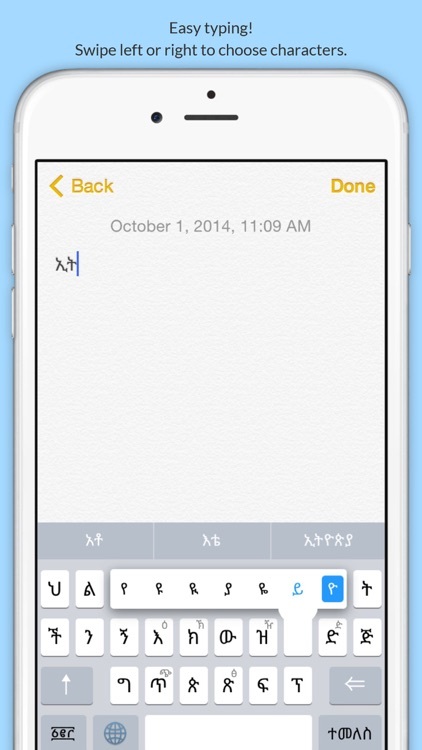 When you start typing words, word correction and predictive text for the next word will pop up automatically. 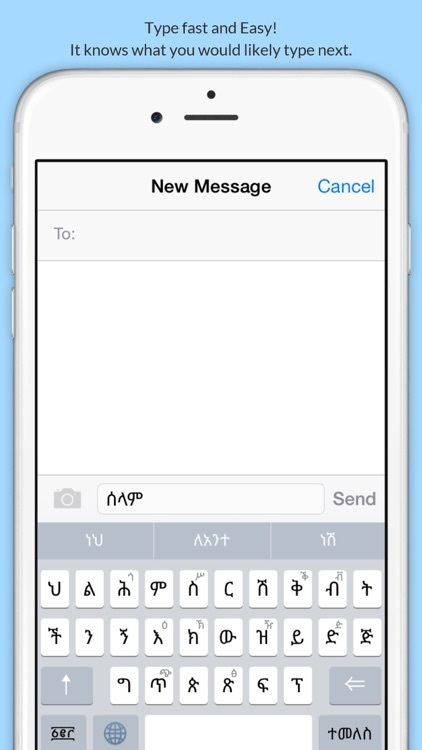 Abyssinica has introduced the Amharic auto correction and predictive text typing for the first time in history of Amharic. 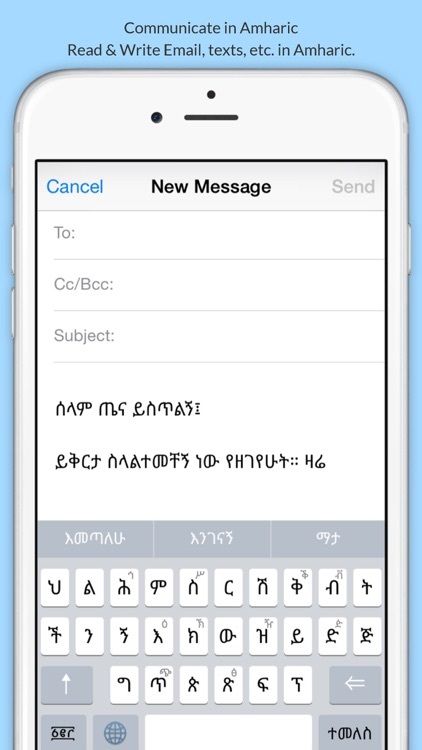 Abyssinica Amharic Keyboard is especially developed for user’s safety and security and meets Apple’s keyboard safety standard. It is the safest and trusted keyboard. It is locked by design and your keystrokes are safe, NO external access request is required. This ensures that your keystroke data go only to the app that is using the keyboard. - Misspelled word correction suggestions and next word suggestions. Abyssinica predicts what you would likely type next. 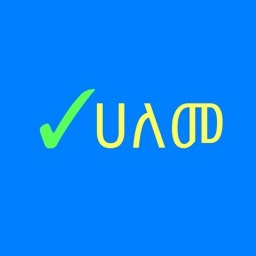 - Type and view Amharic characters on other apps like Messages, Notes, Email, Facebook, Twitter, Contacts, Reminders etc. - Standard, safe and trusted keyboard. 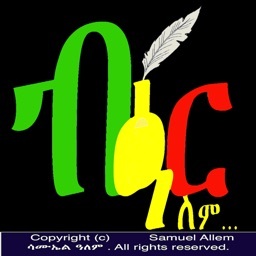 - Search Web in Amharic. 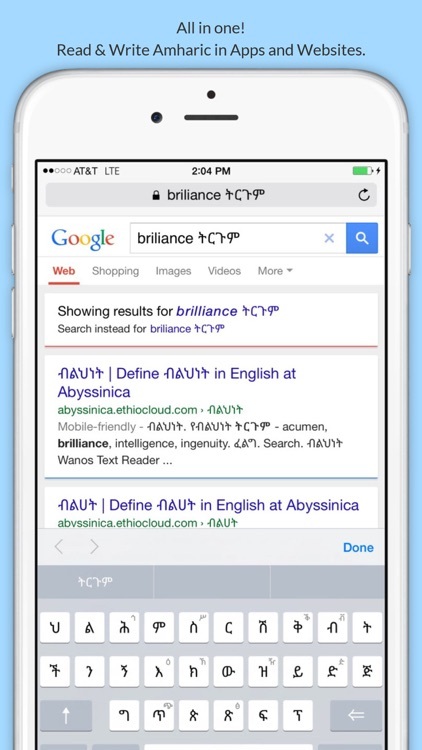 Bing, Google, Yahoo, Read Amharic Websites, etc. - Multi level keys with easy to use interface. Swipe left or right to choose characters. - Automatic period upon double space. - Easily type Amharic, Tigrinya, and Geez languages. 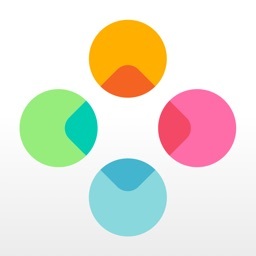 - Easy to switch between Keyboards; Tap on the globe key to switch between Keyboards. 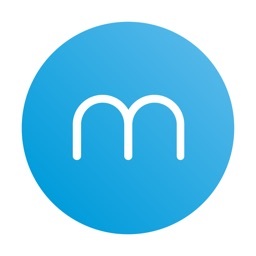 - Complete user manual and support pages. 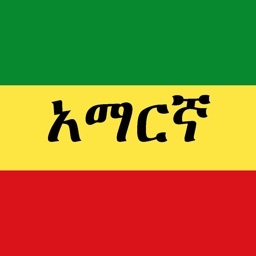 In order to install Abyssinica Amharic Keyboard, Go to Settings > General > Keyboard > Keyboards > Install New Keyboard > Abyssinica Amharic. Use the globe key to switch between keyboards. Please follow the support URL for more help.